The men’s team had a strong 113-90 win over the 14th-placed Kalamunda Eastern Suns. This sees them move from fifth to fourth place in the 14-team competition with 13 wins and nine losses. 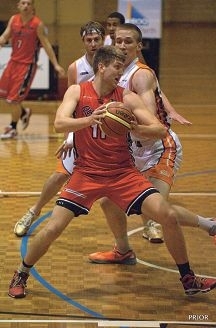 Power forward Michael Vigor top-scored for the Redbacks with 24 along with 10 rebounds. The women’s team withheld a late comeback from the fifth-placed Kalamunda Eastern Suns to win 62-57. They are now in ninth place in the 12-team competition with eight wins and 11 losses. The unexpected win over the Suns keeps alive the Redback women’s chances of making a top-eight play-off spot with them now just two games behind the eighth-placed South-West Slammers with three games remaining. The outcome of the Women’s home game this Saturday against the Slammers at the Belmont Oasis Leisure Centre will determine whether they retain any chance of making a play-off spot. Tip-off for the women’s game is at 6pm while the men’s game, also between the Redbacks and the Slammers tips off at 8pm.